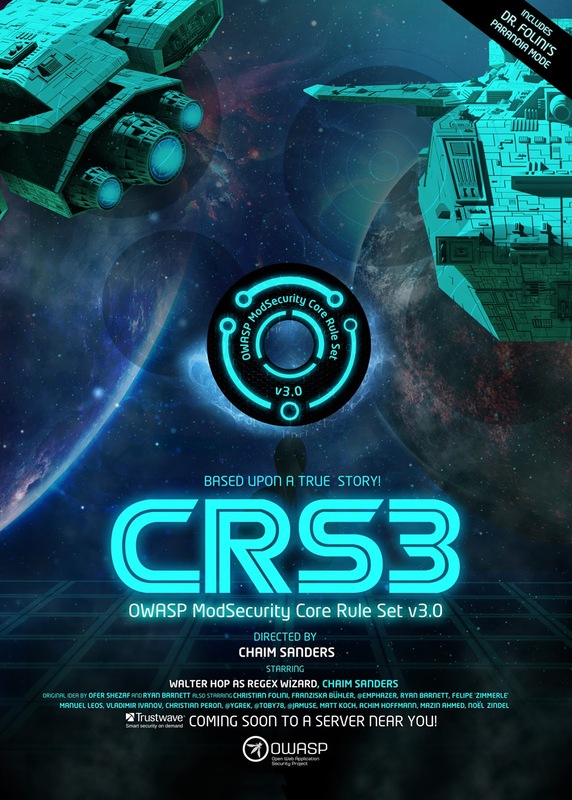 The OWASP ModSecurity Core Rule Set (CRS) is a set of generic attack detection rules for use with ModSecurity or compatible web application firewalls. The CRS aims to protect web applications from a wide range of attacks, including the OWASP Top Ten, with a minimum of false alerts. For a full list of changes in this release, see the CHANGES document. CRS 3 requires an Apache/IIS/Nginx web server with ModSecurity 2.8.0 or higher. For detailed installation instructions, see the INSTALL document. Also review the CHANGES and KNOWN_BUGS documents. You can update the rule set using the included script util/upgrade.py. Advanced features are explained in the crs-setup.conf and the rule files themselves. The crs-setup.conf file is generally a very good entry point to explore the features of the CRS. We are trying hard to reduce the number of false positives (false alerts) in the default installation. But sooner or later, you may encounter false positives nevertheless. Christian Folini's tutorials on installing ModSecurity, configuring the CRS and handling false positives provide in-depth information on these topics.